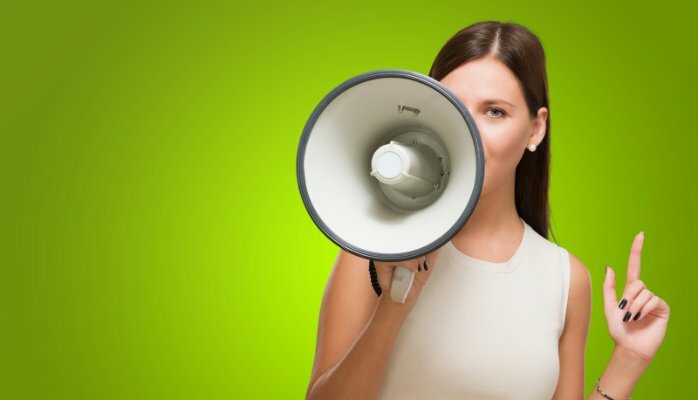 How your voice can help you win more business. You work in client services, you’re part of a pitch team and you’re excited to be working with a senior creative who’s well respected within the agency but hasn’t yet had the chance to flex his creative muscles leading a large-scale pitch. He works hard with his team to develop some outstanding concepts and is very vocal in pitch team meetings about what he believes to be the right answer to the brief. You enter into some healthy debate over a few key points but he convinces you to go along with his thinking. He’s relaxed and confident when arguing his case, successfully articulating his point of view. Pitch day arrives and you’re feeling good about your team and your response. You think you’re going to nail it. The chemistry is good, you’re pretty sure the client will rate the concepts…. cue senior creative to sell them in. He stands up. He looks nervous. His relaxed, confident manner has disappeared without trace. He opens his mouth to speak and squeaks out a few words, his voice thin, weedy and flat. He rushes through the ideas, barely giving the client a chance to digest the thinking or the story behind each one. The brilliance of the concepts fails to shine through. Your heart sinks…. Sound familiar? So often the formality of a pitch presentation, or simply the act of standing up to present can drastically change someone’s voice so that it is almost unrecognisable from the one they use in everyday conversation. Those with a strong, expressive voice in normal conversation can suddenly present with a thin, flat voice that fails to engage or convey any sort of passion. When you use your voice well – considering its pitch, tone and pace – you can instantly boost your presence and gravitas, allowing your ideas and thinking to shine through. Used poorly, your voice can instantly detract from your authority, weakening the message you’re trying to convey. In short, communicating well with your voice is essential to getting your message across. And by getting your message across clearly and succinctly, you’ll be far better placed to win that all-important piece of new business. Try to find your authentic voice. The aim is not to ‘fake it’ – to try to sound like someone else – but to be honestly and clearly you in any situation. Remember to stand up tall. Good posture is an important part of voice work. Understand that clear speech comes from release not effort. Try not to force your voice – work instead on releasing its natural energy. Make sure you have enough space between your top and bottom teeth for your tongue to move quickly, freely and accurately between consonants. This will help you speak clearly. When speaking in public, let your breath come in with each new thought or idea. Your listener will understand you better. Yawn (in private!) – it’s a great way to release any throat tension or holding. Practice opening up your voice by humming with your teeth apart, sliding gently up and down through your range. Practice speaking in a ‘sing-song’ voice to develop expression in speech. It goes without saying that these techniques are only the tip of the iceberg when it comes to good voice technique. At Master the Art we include a range of vocal exercises as part of our bite-size, half day or full day presentation skills sessions. We’ve also partnered with Richard Swan, director of London City Voices to offer half or full day choir workshops, giving you the chance to further extend your vocal range, build confidence and boost team spirit – all crucial components in giving you that much needed edge when pitching for new business.